Property 4: Exceptional Villa in Provence - Paradise above the canopy! 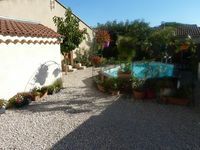 Property 21: Semi-attached house in Saint Rémy de Provence. &quot;Great great place enjoyed by three couples for one week.&quot; Merci Jean-Pierre! Thank you for sharing your beautiful villa with us. The view is magnificent&hellip;as remarkable as the best we have seen around the world. And thank you for your advice on the sigths of this beautiful region, and your help in adapting to your home&rsquo;s technology.&quot; Everything was just as advertised.